Coach Certification from a recognized life and business coach organization is the mark of professionalism in the coaching industry. Unfortunately, coach certification standards vary widely among coaching schools, from 'rubber stamps' that individuals can get just for paying a fee (not credible), to coach certifications that represent months or years of preparation and achievement on the part of the coach, such as those provided by School of Coaching Mastery. The two most recognized not-for-profit coach certification organizations are the International Association of Coaching (IAC), and the International Coach Federation (ICF). School of Coaching Mastery prepares coaches with 125 hours approved by the ICF. School of Coaching Mastery's coach training curriculum is also designed to assist business and life coaches to qualify for the ICF's three coaching credentials, the Associate Credentialed Coach, the Professional Credentialed Coach, and the Master Credentialed Coach. You can build your coaching business as you study at School of Coaching Mastery and prepare for the ICF coach certification at the same time. We will recognize your progress along the way with Coaching Certificates and Coach Certifications that you can display with pride on your website and business card, because our coach certifications represent a level of achievement that places you head and shoulders above the majority of business and life coaches. Certified Experienced Coach (SCM-CEC) - Fill your coaching business with paying clients while you prepared for the Certified Experienced Coach designation via the Coach 100 Business Success Program. 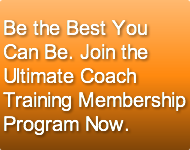 This program is also included in our Coach Launch Pro and Ultimate Coach Training Program. Certified Competent Coach (SCM-CCC) - New coaches who successfully complete the Coaching Groundwork Advanced 16-hour course can qualify for the Certified Competent Coach designation. This program is also included in Coach Launch, Coach Launch Pro and Ultimate Coach Training Program. Certified Proficient Coach (SCM-CPC) - Coaches who demonstrate proficient coaching skills via SCM's Master Coach Training Levels 1, 2 or 3, can qualify for the Certified Proficient Coach designation while studying for IAC and ICF coach certification. These programs are also available through our Certified Coach Training Program and Ultimate Coach Training Program. Certified Master Coach (SCM-CMC) - Coaches who demonstrate master coaching skills via SCM's Master Coach Training Levels 1, 2 or 3, can qualify for the Certified Master Coach designation while studying for ICF coach certification. These programs are also available through our Certified Coach Training Program and Ultimate Coach Training Program. Certified Group Coach (SCM-CGC) - Advanced Coaches who successfully complete SCM's Group Coach Training Program qualify for the Certified Group Coach designation. This program is also available via the Ultimate Coach Training Program.